I'm starting a free bimonthly newsletter! My newsletter subscribers will be updated with breaking news on what I'm up to, book and blog recommendations, and subscriber-only content such as bonus #WatchMeWrites, writing snippets, and sodium for explosions. RECEIVE EXCLUSIVE TAKEOUT JUST FOR SUBSCRIBERS! Because this very giddy blogger has the most amazing support imaginable from you guys, she wants to give back to you. I'm giving away any novel from the Book Depository under US$10. This giveaway is open internationally, insofar The Book Depository ships. It lasts for two weeks, or until 13th March 2015. Winners will be contacted via email and announced on the blog. a Rafflecopter giveaway And now, for the blog party! I've never hosted or even joined one before, so I'm winging it here. In your post, please (1) include the party button and invite everyone to join the party, (2) answer the five questions below, and (3) link to this post and announce there's a giveaway! If you win, what book would you like? What's a book you want to read/write but have been putting off forever? Add your post URL and blog name on this link-up so I can check your post out and dish out virtual birthday cake and takeout! And finally, thank you for an amazing two years on the blog. *group hug* Thank you for staying with me through inconsistent posts and awkward bizarreness, for following me and my rambles, and for commenting with similar weirdness. I have been blessed to know all of you. Make a girl's (birth)day and join my new mailing list? You'll receive announcements about events like this before anyone else! Ahem, anyway, this is awesome and I cannot wait to participate! On Wednesday or Friday. I haven't decided yet on account of my dad wants to go watch January Man with Kevin Kline but hey I will be back, have no fear. I can't wait to see your post! Particular excited for all the China urban myths. And I've never heard of that movie, but family time is always fabulous. OH WOW WOW WOW THIS IS SO AMAZING. I LOVE YORU NEW DESIGN. *commences singing* HAPPY BIRTHDAAY TO YOUU, HAPPY BIRTHDAAY TO YOUU! *whispers* Happy birthday to me! Thank you so much! Huh, yeah, I suppose the diamonds in the background are a little card-like. I look forward to reading your answers -- blog parties are absolutely fabulous. Yayy, congratulations and Happy Birthday!! You are having quite a few things to celebrate in a short time! Your blog looks great, and I adore the name :) Huge congrats, hope your birthday is great, and that you have tons of continued success! Thank you, Cindy! I'm glad you like it, I'm quite proud of it myself. ALYSSA. THE NEW DESIGN LOOKS ABSOLUTELY GORGEOUS AND I'M SO HAPPY FOR YOU. (I don't even know WHY, but I feel like this is a good thing to get excited about. 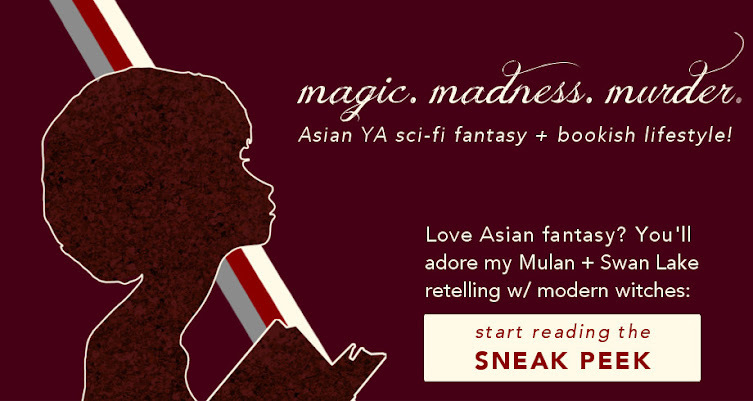 ;)) Signed up for the newsletter + giveaway - I can't wait for both of those! Also: you asked for suggestions? I'm replying to your email now with a few of those (mostly regarding the design, since, as you know, that's my area of expertise - but I can certainly pitch in a few for content as well, if you are so inclined!). *eats cake* *spreads out takeout* Don't blow up Six Impossible Things, Topaz! Thank you, Kayla! The pattern was actually provided by Topaz Winters (topazwinters.com), and I really love it, too! Happy Birthday & Blogoversary! And your blog design is GORGEOUS. I have a sudden urge to switch to Blogger now XD. You're blog is so beautiful! Congrats on anniversary of it:) Also happy birthday. Happy Birthday! Also happy Blog Birthday!! Love the new design! HERE IS SOME CAKE!!! AND ICE-CREAM TOO!!! Thank you, Mae! *eats food* Here, have some takeout! New follower here and love the blog!! Oh my goodness, your blog is SO PRETTY. I might just swoon and fall down. Damn. Thanks! To be honest, most of that first year was messing around and not knowing what I was doing. I'd only really count the last half year or so as actually community-based stuff. And I really owe a lot to the amazing Internet people -- you included, so yay! Here's your takeout and cake! Thanks so much, Joy! Yeah, that happens all the time to me as well with Tumblr when people change their URL and profile pic at the same time. And yes, I barely noticed it's been two years! I feel old now :S Thank you again for all the well wishes, Joy!